The Lord Bishop of Peterborough: My Lords, it is perplexing, given Mrs May’s commitment to mental health, that there is no mental health Bill in the Queen’s Speech, not least given the very strong commitments that were made about the need for legislation and the fact that this would happen. What there is in the Queen’s Speech about mental health is good, though it is vague. I hope that it is translated into more money for mental health, but it also needs to be translated into better delivery and accountability. That is what is lacking and what I want to think about for a moment. Take the example of chaplaincy in mental health. I am particularly interested in mental health and I obviously have an interest in chaplaincy as well. The Royal College of Psychiatrists has recently issued a report highlighting the importance of spiritual care—another way of describing chaplaincy—in mental health, and spiritual care providers working with other clinicians to deliver good outcomes for mental health. Yet local trusts, mental health trusts and acute trusts, have guidelines on how many chaplains should be provided, and how many of different religions, faiths, backgrounds, denominations and so on, according to proportions in population, but there is no compulsion on them to employ that number of chaplains or in that proportion; it is simply a guideline. The Department of Health does good work, it produces good guidelines and I do not criticise the guidelines at all, but it then allows other bodies it sets up to ignore those guidelines, or to deliver less than the guidelines require or suggest. 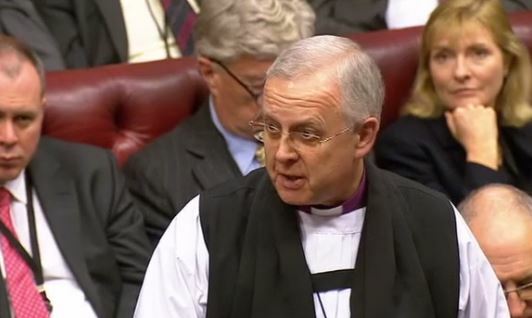 Baroness Walmsley (LD)…I join the right reverend Prelate the Bishop of Peterborough in asking the Government to ensure that the funding for mental health services reaches them and is not diverted to other services. Timely access to preventive care, a whole-system approach and sufficient funding will do more than any legislative change ever could. Lord Hunt of Kings Heath (Lab)…The other point to make on mental health was made by the right reverend Prelate the Bishop of Peterborough. It is that over the past few years, Ministers have made very welcome statements about the priority that mental health is to be given. We do not dispute any of that, but it does not happen. We know that clinical commissioning groups are cutting mental health budgets. In the end, Ministers have to take responsibility. They cannot simply say that they have made these edicts and CCGs have been told to do it, and then we have a situation where clearly CCGs cannot do it because they do not have the money, they have conflicting priorities and they are left in an impossible situation. So any further statement by Ministers on mental health will be treated with a touch of scepticism in your Lordships’ House until we get to the point where we see the additional money ring-fenced and guaranteed to be spent on mental health. The Parliamentary Under-Secretary of State, Department of Health (Lord O’Shaughnessy) (Con)…Regarding mental health, the Government have a better story to tell than perhaps we have been given credit for. There is much more money going in—and, yes, it is getting to the front line, as well as other commitments, including waiting time commitments on treatment. There is an issue to be discussed, at another time, about the extent to which we have ring-fencing and direction, because the whole way the NHS ​works is predicated on clinical autonomy. Just as with the operational autonomy of the police force, that autonomy is rather important. Of course there should be targets—or goals, if you like—and sometimes they will be in conflict with one another. Nevertheless, it needs to be for professionals to make that decision. We will bring forward the Green Paper on children’s and young people’s mental health that the noble Earl, Lord Listowel, hoped for. I can reassure him on that front.